Spring 2019 Wedding Showers Season is here! 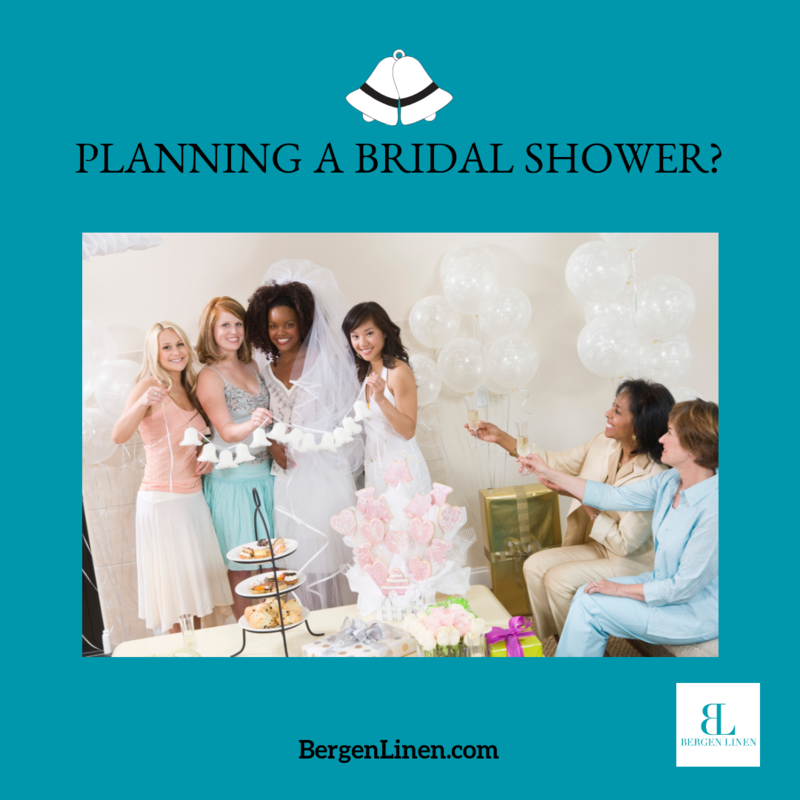 In the past, bridal showers were the ‘norm’. Over the years, all of us have seen the importance in being all-inclusive – and this includes wedding showers. Today’s couples have evolved. Today’s marriages (and weddings) have evolved. And so has the shower. We love it! Don’t you? The wedding shower is a pre-party before the big day. Often, it is a bit more intimate. The bride, groom or couple are in a more relaxed phase and more time to mingle. Typically, the wedding shower is the host. Depending on the couple, this could mean the maid of honor, man of honor, family and/or friends. When planning, they will be looking into making this day special. Will you be ready for their party linen rental requests? Need a little more inspiration? Visit our Pinterest page today. And don’t forget to follow us Instagram!